HeartOn AEDs are cost effective defibrillators with features that make them easy to use. 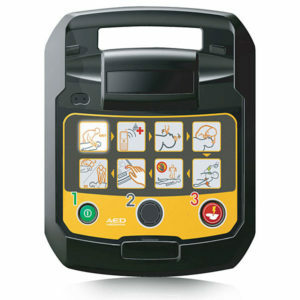 Onsite First Aid recommends and sells HeartOn Defibrillators. HeartOn is a cost effective AED well suited many workplace environments. We are very competitive with our pricing and have many years experience in selling defibrillators. Contact us to discuss your requirements.